The land of a thousand towers opens it's gates to you! 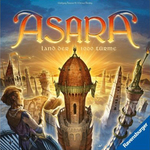 In Asara, you complete to build the most, the tallest, and the most gold decorated towers. 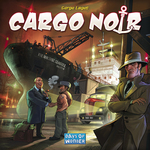 Cargo Noir is easy to learn, quick to play, and always competitive. You are smugglers of international contraband. Dispatching your cargo ships to the safest or richest ports; judging which contraband is the hottest; and laying in wait with your gold until the time is right will be the keys to your success - allowing you to revel in the spoils of victory. You can read a full review by clicking on the game name that will take you to the Game Profile.